Feel like your pearly whites could use a polish? Many people are self-conscious about their smile due to discolored teeth. Unfortunately, teeth staining is a natural part of life that we all have to deal with, especially as we age. But this natural process can be reversed. Teeth bleaching is a simple treatment that uses a peroxide solution to power through stains and brighten your smile. There are two treatment methods — in-office whitening and take-home whitening — with each offering certain advantages. Which is right for you? Schedule a consultation with Dr. Andrew Kim at Dentalopolis to find out! We’ll see to it that your whitening treatment yields the best results while fitting your lifestyle and budget. Beverages like coffee, tea, soda, and wine may brighten up your day, but unfortunately they can dull your teeth. Some foods like berries and tomato sauce can have the same effect. These substances stain because they contain pigmented compounds that lodge themselves in the surface of tooth enamel. Regular brushing and flossing can help, but over time the compounds build up and form stains. While food and beverages contain pigmented compounds that stain teeth, cigarettes contain nicotine and tar, which also settle into tooth enamel and lead to staining. Cigarette staining is distinctly yellowish because nicotine, although clear on its own, turns yellow when mixed with oxygen. Yet another reason you need to brush and floss regularly! Neglecting your oral hygiene will lead to plaque buildup on your teeth, which results in a dull, gray appearance. Over time, the wear and tear of everyday life catches up to the entire body, and the teeth are no exception. Enamel begins to erode away as we age, revealing the darker-colored dentin underneath. Age-related discoloration is often made worse by the habits listed above. It may seem like dental staining is impossible to avoid, and the unfortunate truth is that it usually is. But that doesn’t mean you have to live with discolored teeth. Here at Dentalopolis, we offer in-office and take-home solutions for bleaching teeth. Both systems offer a simple, effective way to get a picture-perfect smile! Want brighter teeth in as little as an hour? Visit Dentalopolis for in-office teeth whitening! 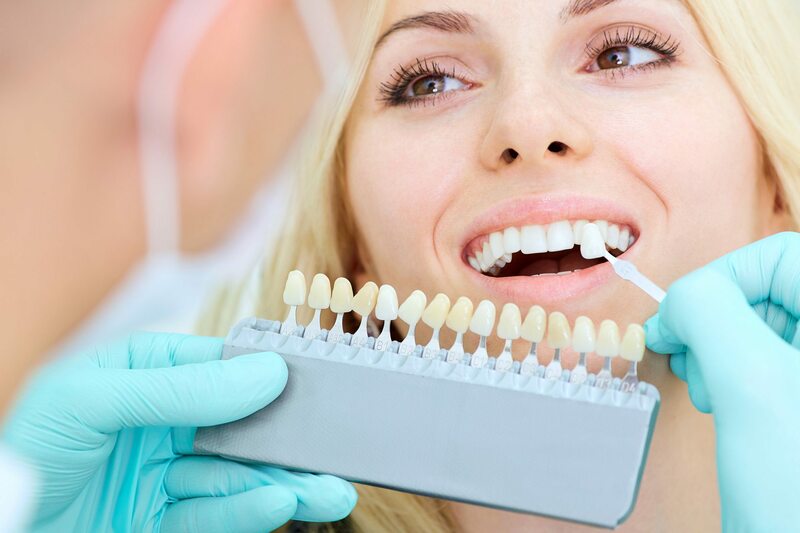 During your appointment, we’ll apply a special peroxide gel that penetrates into the enamel to remove even the most stubborn of staining compounds. The whitening gel is 100% safe, and we’ll take special care to protect your gums and the rest of your mouth during treatment. 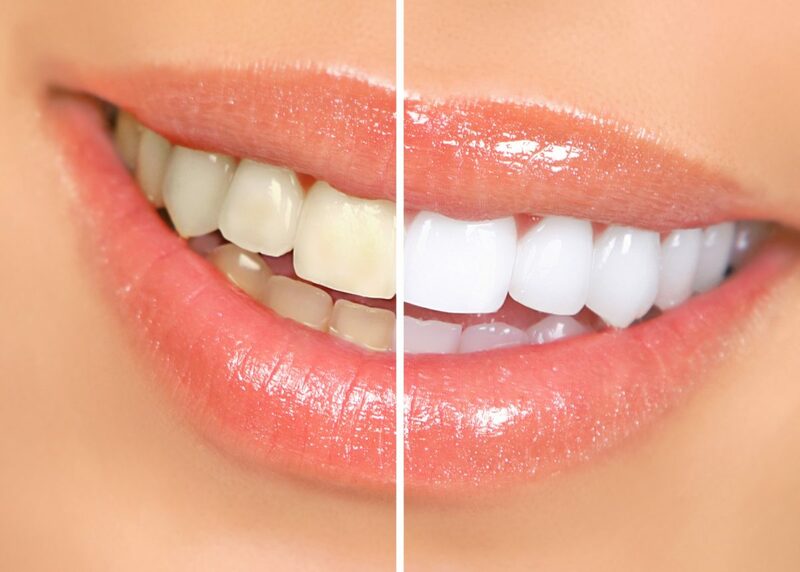 Quick results – Get noticeably brighter teeth (up to 8 shades whiter) in as little as one hour. One-time treatment – Get in and get out. Once you leave the office, you’re done! Powerfully effective – In-office treatment uses a more powerful whitening agent that’s effective even against severe staining. 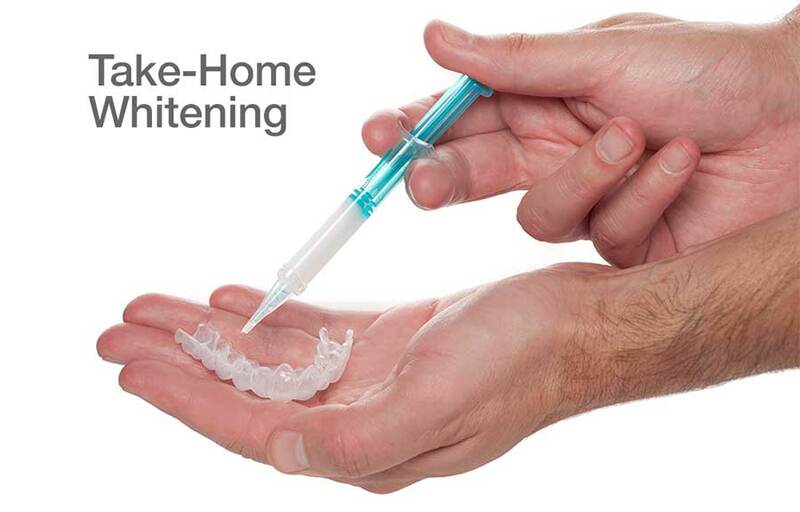 Prefer to whiten your teeth in the comfort of your home? Dentalopolis can set you up with a take-home bleaching kit that fits your busy lifestyle. With at-home whitening systems, you fill a dental tray with bleaching gel and wear it from 30 minutes to several hours per day. Because the gel is less powerful than what’s used for in-office whitening, you’ll wear your take-home trays for up to four weeks. Comfort of home – Instead of the dentist’s chair, you can kick back on the couch or recliner while your teeth get brighter. Fits your schedule – Wear your whitening trays any time of the day that’s convenient for you. 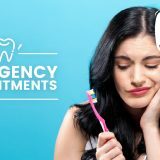 Effective for most patients – While more severe staining may require in-office whitening or other cosmetic treatments such as veneers, take-home treatment is effective for most cases. SCHEDULE YOUR TEETH BLEACHING APPOINTMENT TODAY! If you’re concerned about the color of your teeth, worry no more! 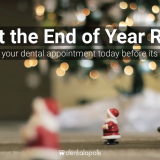 Book an appointment with Dentalopolis to brighten your smile and boost your confidence in as little as an hour. Why wait any longer for a shimmering new smile? Schedule your appointment today!